Like all corporations which want to benefit from the power of technology, you too want to use the power of mobile apps. But, you can not quite make out what sort of a mobile app idea will you be running after. 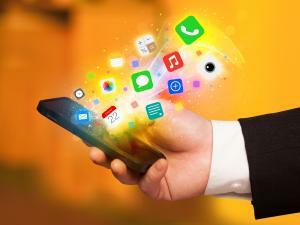 At first, even describing what kind of a mobile app you want may feel difficult. When finding ideas for new mobile apps, it is necessary to calculate risks and conclusions such as whether it will work or not, will it be popular or not, etc. If you would like, let’s have a look at the dynamics that will develop your mobile app idea and help ripen it. Keeping up with the rapidly developing technologies, catching up with competition’s speed, maintain the loyalty of your existing customers, gaining new customers, providing lasting and distinct solutions are only a few of the advantages a mobile app may provide. Whichever is your priority among these, you will need to develop an app that will be useful to your target audience. Apps that provide a real benefit to users, making their lives easier, and allow the users to achieve their wishes in a practical way will bring your audience a step closer to you. What kind of a mobile app will carry you forward? An app that is oriented towards instantaneous buying, or one that can present campaigns and discounts to lead your existing customer to buy more or one that will help with some needs of mobile users and therefore aid in your brand recognition, which may be a better choice for you? It is of benefit to first calculate your priority goals and your expectations from a mobile app before deciding this. First off, pay attention to processes experienced by your users, and their expectations. When buying your products and services, are all steps easy? Are there any procedures that require them to wait, and be constantly in contact with you? Is there any helpful information you can provide to your customers by communicating them without waiting for them to communicate you? If a bank notifies their customer instantaneously of their money flow, this would please the customer. A restaurant is successful if they communicate via the mobile app to a customer who is just finishing their main course, that they can have dessert of the day with %50 off. If a logistics company can instantaneously communicate where the cargo is, then they are trustworthy. What will make you indispensable when a customer get it from you? If you can find the answer to this question, and produce a solution towards that, surpassing your competition will be easier. As a company, you would not want to get left behind on developments concerning your industry. What are your competitors doing to remain relevant and to keep their customers? Not to copy verbatim, but what can you do to provide more than these? To get a step ahead, what step can you take that your competitors have not thought of? By inspecting ongoing efforts of competition, it might be easier for you to define how can you create a difference. What is the status of your industry? What is the direction for the development of your sector? Are there any innovations expected? What state is the demand balance in, which way is the inclination to rise? New investments and nascent developments promise hope in developing industries. Changing consumption habits may also give the signs of a sector too may be needing to change in itself. Looking at the whole of the world from where you stand, and therefore getting some ideas regarding future of your industry may make it easier for you to take the right decisions. If your company has had long term achievements it wants to achieve, you can make mileage faster by involving the technology in the process. Users of your mobile app inviting new friends and therefore enlarging your target audience may just be what you are looking. A mobile app to get the consumers used to a product/service you have not released to market yet may be a different gain. After defining your priority, choosing the mobile app that will get you to your goals as a pinpoint shot will be the best course of action. If you know what you want to achieve, it will be possible to experience less risk and more joy of success with a proper result when you step into the mobile app technologies. After all these, all you need is to start developing your mobile app. You do not need software development knowledge, big budgets, or even too much time for this. Thanks to MobiRoller’s smart infrastructure, you can make your app in minutes and have it ready to use. Come and create your MobiRoller account right away, and have your app too today.